Twice the tempura fun –- for the price of one! 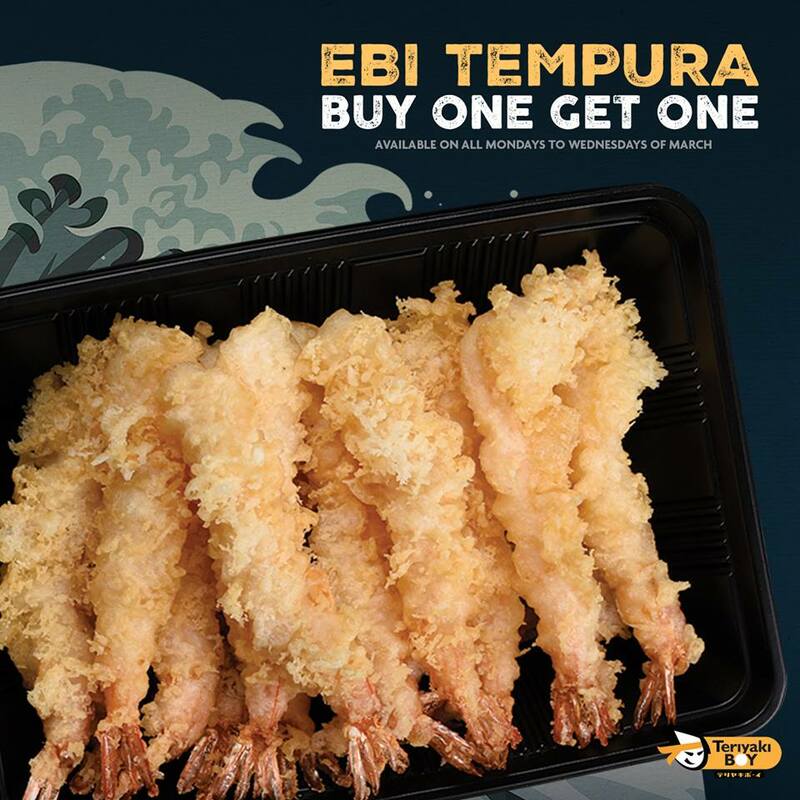 Order a 3-piece Ebi Tempura plate for only P195 at any Teriyaki Boy branch, and get one more plate for FREE! Promo starts on March 11, 2019, available on ALL Mondays, Tuesdays, and Wednesdays of March (March 11-13, March 18-20, March 25-27).